Dr. Ivan Hernandez’s clear vision to get people active takes confidence and expertise to accomplish. His passion and primary purpose in life is to help people live a gratifying life through wellness. ​ Armed with a Doctor of Physical Therapy degree from NYU and certifications in Orthopedic and Sports Physical Therapy in the State of New York, the fitness enthusiast is also a Clinical instructor for New York Medical College’s Doctor of Physical Therapy Program. “Teaching gives me an opportunity to educate those that are eager to help others, as well as giving me personal fulfillment in knowing that I’ve contributed positively to humanity,” says Dr. Hernandez, who has been teaching for more than 10 years.In 2015, Dr. Hernandez, who appeared to be a pillar of health, suffered a mild heart attack due to overwhelming life stress. His life severely changed, personally, financially, mentally and physically, yet he was able to transform the pain into productivity. He focused on working out and a high level of fitness, keeping his sanity and peace of mind. Now, as a divorced father of two boys, ages 14 and 8, Dr. Hernandez is prepared to share his experiences with the hope that it will empower and inspire others. Currently, he is working on his first book, Courage to Continue: Surmounting Life’s Adversities Boldly, which will focus on four areas of wellness: financial, spiritual, mental and physical. In addition to writing, running his successful physical therapy practice, Dr. Hernandez is embarking on building and expanding his brand through television, social media, product development and motivational speaking. He is determined to take his message and passion for health and wellness to the masses. 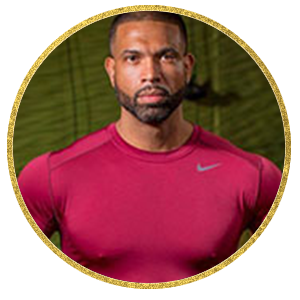 His speaking topics include: entrepreneurship, fitness, health, performance, wellness, injury, pain, altered movement, stress management, weight loss and empowerment. In 2017, Dr. Hernandez will launch several programs and events including the Move More, Live Longer campaign, a weight loss program, and a video series, S.L.A.B. Life (Surmounting Life’s Adversities Boldly). Dr. Hernandez continues to work with professional athletes and celebrities as well as contributes to a fitness column entitled, “Body Remix” on Soulbounce.com.